The first iPod had an Easter Egg accessed by holding down the center button for a few seconds on the "About" menu. What was it? 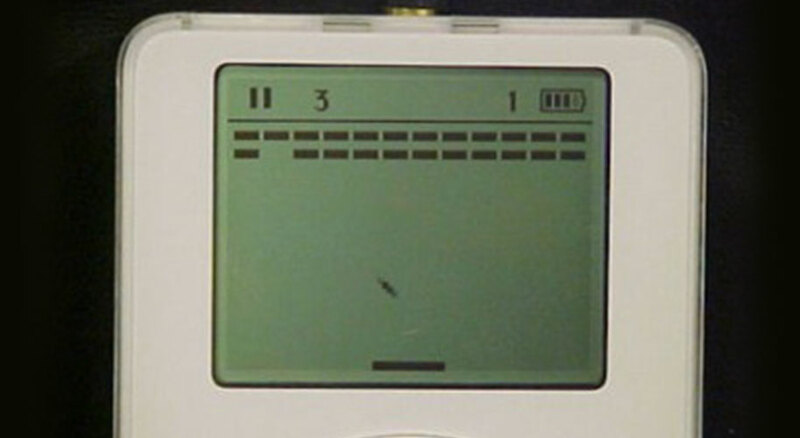 Released about eight months after the arrival of iTunes in late 2001, the first iPod featured a mini version of the game Breakout, which was published in 1976 by Atari, where a young Steve Wozniak and Steve Jobs built the game. Inspired by Pong, Breakout centers around the player moving a bar horizontally to prevent a ball from touching the bottom of the screen and bouncing it back up at a layer of bricks on the ceiling that could be broken to win the round. Later versions of iPod software moved the Easter Egg (version 1.1 put it in the "Legal" menu for instance) and before long Apple made it easily accessible alongside other mini games baked into the iPod's software.